I’m quite the fan of Lipidol’s Sun Tan Oil (R79,95) and have also enjoyed using their lime-scented Cleansing Body Oil (R79,95) in the past – it’s great to shave your legs with. 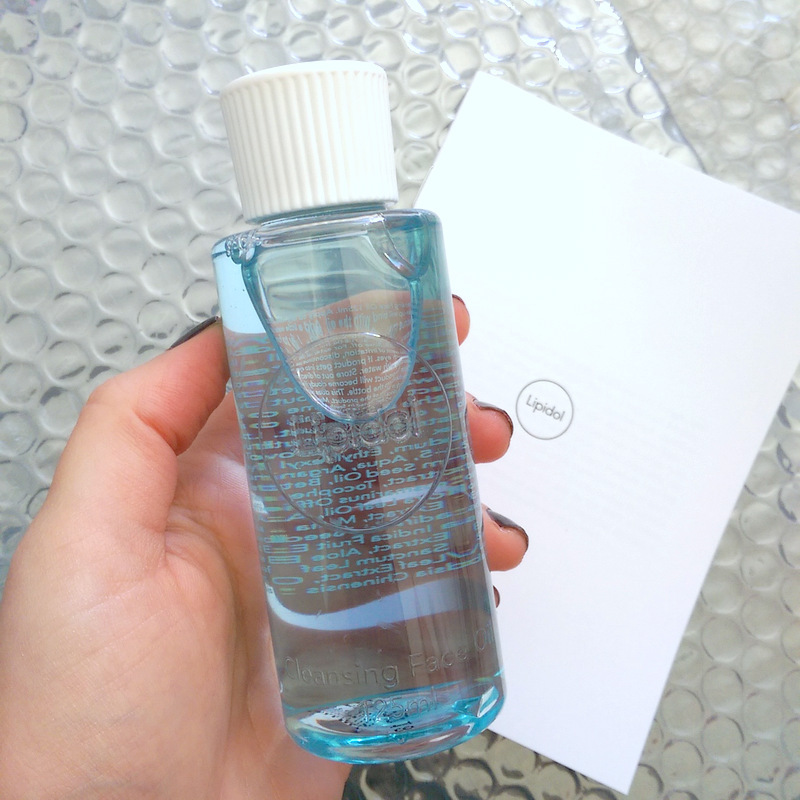 So, I was quite happy to give their Cleansing Face Oil (yep, it’s R79,95 too) a bash. A mineral oil-based blend that also includes argan and sesame oil, Lipidol’s cleanser is supposed to have a rosemary and niaouli (nope, I’ve never heard of it either) but I can’t pick anything up so to me it might as well be unscented and I don’t have a problem with it. You’re to apply it to your face while dry to whip off your make-up then add a little water to emulsify the product into a water cream before rinsing. Personally, I like to apply it to a cotton pad and swipe it over my make-up. It did a good job of taking off everything I tested it on – including waterproof mascara – and then, once I was done, I remove the oily residue using a wet wipe before hitting the sack. I’m not really one for splashing my face with water at the end of the day which is why I generally use miceller waters to cleanse my face as there’s no need to rinse. Still, Lipidol’s cleanser is a goodie and now it lives next to my bath. On the evening’s I hit the tub at the end of the day (which is often now that it’s so bloody cold) I rub it on my eye lids while my face is still dry and then splash it off. Then, when I get out, all my make-up is gone without a drop of residual racoon being left behind which is often the case when I just use a face wash. Nice one Lipidol! I could pick up the scent of Rosemary, which I love. It makes a nice change from my Body Shop Camomile cleansing oil. In all honesty, I actually prefer the Lipidol one, as using it every day has helped my redness! It’s also a great size for traveling! Lipidol Cleansing Oil is my favourite. I have to agree with you on the redness. I have rosacea. My cheeks are still reddish but not “in you face” anymore. Lipidol Overnight Oil is also great. One of my all-time favourite cleansing oils.